It hasn’t yet been reported. COMPLAINT FOR PATENT INFRINGEMENT AGAINST CARBONITE NETWORKS INC. AND EVAULT, INC.
and methods for fast and efficient data compression using numerous innovative compression techniques based on, for example, particular attributes of the data. On information and belief, Defendant Carbonite, Inc. (“Carbonite”) is a Delaware corporation with its principal place of business at 2 Avenue De Lafayette, Boston, Massachusetts 02111. On information and belief, Carbonite can be served through its registered agent, Corporation Service Company, 2711 Centerville Rd., Suite 400, Wilmington, Delaware 19808. On information and belief, Defendant EVault, Inc. (“EVault”) is a Delaware corporation with its principal place of business at 6001 Shellmound St, Emeryville, CA 94608. On information and belief, EVault can be served through its registered agent, C T Corporation System, 1999 Bryan St., Suite 900, Dallas, Texas 75201. On information and belief, Defendant Carbonite, Inc. acquired Defendant EVault, Inc. in 2016 and has subsequently offered for sale and sold EVault products that infringe the patents-in-suit, as further explained below. See, e.g., https://www.carbonite.com/en/news/carbonite-closes-acquisition-of-evault-from-seagatetechnology/; https://www.carbonite.com/en/cloud-backup/business/resources/carboniteblog/introducing-e2-powerful-hybrid-backup-designed-for-small-businesses/ (“E2 is a complete solution that combines advanced technology from EVault with Carbonite’s ease of use and small business know-how. It has everything your small business needs to protect data both on-site and in the cloud. … The entire solution is powered by advanced technology from EVault, one of the leading providers of backup and disaster recovery since 1997.”). Accordingly, Carbonite and EVault are properly joined in this action under 35 U.S.C. § 299. 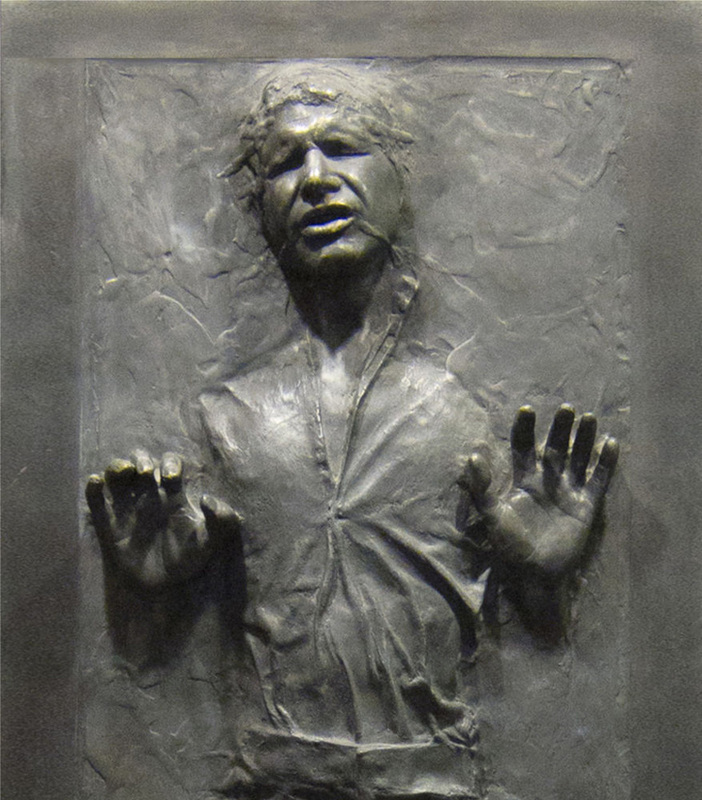 This Court has personal jurisdiction over Defendant Carbonite in this action because Carbonite has committed acts within the Eastern District of Texas giving rise to this action and has established minimum contacts with this forum such that the exercise of jurisdiction over Carbonite would not offend traditional notions of fair play and substantial justice. Carbonite, directly and through subsidiaries or intermediaries, has committed and continues to commit acts of infringement in this District by, among other things, offering to sell and selling products and/or services that infringe the asserted patents. This Court has personal jurisdiction over Defendant EVault in this action because EVault has committed acts within the Eastern District of Texas giving rise to this action and has established minimum contacts with this forum such that the exercise of jurisdiction over EVault would not offend traditional notions of fair play and substantial justice. EVault, directly and through subsidiaries or intermediaries, has committed and continues to commit acts of infringement in this District by, among other things, offering to sell and selling products and/or services that infringe the asserted patents. In addition, EVault is registered to do business in Texas. Venue is proper in this district under 28 U.S.C. §§ 1391(b), 1391(c) and 1400(b). Upon information and belief, Defendants have transacted business in the Eastern District of Texas and have committed acts of direct and indirect infringement in the Eastern District of Texas. Plaintiff Realtime is the owner by assignment of United States Patent No. 9,054,728 (“the ‘728 patent”) entitled “Data compression systems and methods.” The ‘728 patent was duly and legally issued by the United States Patent and Trademark Office on June 9, 2015. A true and correct copy of the ‘728 Patent is included as Exhibit A. On information and belief, Carbonite has offered for sale, sold and/or imported into the United States Carbonite products that infringe the ‘728 patent, and continues to do so. By way of illustrative example, these infringing products include, without limitation, Carbonite’s products and services, e.g., Carbonite, Carbonite Personal Backup, Carbonite Personal Backup for Windows, Carbonite Personal Backup for Mac, Carbonite for Home, Carbonite for Office, Carbonite Server Backup, and all versions and variations thereof since the issuance of the ‘728 patent (“Accused Instrumentality”). On information and belief, Carbonite has had knowledge of the ‘728 patent since at least the filing of this Complaint or shortly thereafter, and on information and belief, Carbonite knew of the ‘728 patent and knew of its infringement, including by way of this lawsuit. Pro-Windows-Mac-Type-of-Compression-We-Use (“Carbonite uses the lossless zlib compression algorithm. This means that the contents of a restored file are identical to the contents of the backed up file prior to compression. Most picture, music, and video files already have some form of compression. In this case, Carbonite attempts to further compress these files via zlib. We do not alter the native compression of these files, but because they are being compressed a second time, the files sizes of picture, music, and video files are typically lower than document files.”). Carbonite specifically intended and was aware that the normal and customary use of the Accused Instrumentality on compatible systems would infringe the ‘728 patent. Carbonite performed the acts that constitute induced infringement, and would induce actual infringement, with the knowledge of the ‘728 patent and with the knowledge, or willful blindness to the probability, that the induced acts would constitute infringement. On information and belief, Carbonite engaged in such inducement to promote the sales of the Accused Instrumentality, e.g., through Carbonite’s user manuals, product support, marketing materials, and training materials to actively induce the users of the accused products to infringe the ‘728 patent. Accordingly, Carbonite has induced and continues to induce end users of the accused products to use the accused products in their ordinary and customary way with compatible systems to make and/or use systems infringing the ‘728 patent, knowing that such use of the Accused Instrumentality with compatible systems will result in infringement of the ‘728 patent. accused products were and are especially manufactured and/or especially adapted for use in infringing the ‘728 patent and are not a staple article or commodity of commerce suitable for substantial non-infringing use. On information and belief, the Accused Instrumentality is designed to function with compatible hardware to create systems for compressing data comprising; a processor; one or more content dependent data compression encoders; and a single data compression encoder; wherein the processor is configured: to analyze data within a data block to identify one or more parameters or attributes of the data wherein the analyzing of the data within the data block to identify the one or more parameters or attributes of the data excludes analyzing based solely on a descriptor that is indicative of the one or more parameters or attributes of the data within the data block; to perform content dependent data compression with the one or more content dependent data compression encoders if the one or more parameters or attributes of the data are identified; and to perform data compression with the single data compression encoder, if the one or more parameters or attributes of the data are not identified. Because the Accused Instrumentality is designed to operate as the claimed system for compressing input data, the Accused Instrumentality has no substantial noninfringing uses, and any other uses would be unusual, far-fetched, illusory, impractical, occasional, aberrant, or experimental. Carbonite’s manufacture, use, sale, offering for sale, and/or importation of the Accused Instrumentality constitutes contributory infringement of the ‘728 patent. The Accused Instrumentality is a system for compressing data, comprising a processor. For example, the Accused Instrumentality must run on hardware containing a processor. See, e.g., https://support.carbonite.com/articles/Personal-WindowsInstalling-Carbonite-and-Initial-Backup-Selections (“Installing Carbonite Personal and Initial Backup Selections … If you have yet to install Carbonite on a computer, there will be a message displayed indicating that you have not yet installed Carbonite and to click to install. If so, please click on the here in order to proceed to installing Carbonite.”). Differential-Backups (“Incremental and Differential backups are the primary means by which Carbonite Server Backup (CSB) reduces the size of backup runs after the Full Backup. … A Differential backup will back up any data that has changed since the last Full Backup. Differential backups will start small but grow in size for each subsequent backup, because they contain all changed data since the last Full backup. … An Incremental backup will back up any data that has changed since the last backup, be it Full, Differential, or Incremental.”). The Accused Instrumentality comprises a single data compression encoder. See, e.g., https://support.carbonite.com/articles/Personal-Pro-Windows-MacType-of-Compression-We-Use (“Carbonite uses the lossless zlib compression algorithm. This means that the contents of a restored file are identical to the contents of the backed up file prior to compression. Most picture, music, and video files already have some form of compression. In this case, Carbonite attempts to further compress these files via zlib. We do not alter the native compression of these files, but because they are being compressed a second time, the files sizes of picture, music, and video files are typically lower than document files.”). Backup, or Incremental Backup, where the analysis does not rely only on the descriptor. See, e.g., https://support.carbonite.com/articles/Server-Windows-What-are-Incrementaland-Differential-Backups (“A Differential backup will back up any data that has changed since the last Full Backup. … An Incremental backup will back up any data that has changed since the last backup, be it Full, Differential, or Incremental. … Incremental backups are generally much smaller in size than differential backups, but they can make the restore process slower over a period of time. On the other hand, differential backups offer a good tradeoff between time to backup and time to restore. To reap the benefits of both incremental and differential backups, you may combine both types in a single backup set.”). compression algorithm. See, e.g., https://support.carbonite.com/articles/Personal-ProWindows-Mac-Type-of-Compression-We-Use (“Carbonite uses the lossless zlib compression algorithm. This means that the contents of a restored file are identical to the contents of the backed up file prior to compression. Most picture, music, and video files already have some form of compression. In this case, Carbonite attempts to further compress these files via zlib. We do not alter the native compression of these files, but because they are being compressed a second time, the files sizes of picture, music, and video files are typically lower than document files.”). Carbonite also infringes other claims of the ‘728 patent, directly and through inducing infringement and contributory infringement, for similar reasons as explained above with respect to Claim 1 of the ‘728 patent. By making, using, offering for sale, selling and/or importing into the United States the Accused Instrumentality, and touting the benefits of using the Accused Instrumentality’s compression features, Carbonite has injured Realtime and is liable to Realtime for infringement of the ‘728 patent pursuant to 35 U.S.C. § 271. As a result of Carbonite’s infringement of the ‘728 patent, Plaintiff Realtime is entitled to monetary damages in an amount adequate to compensate for Carbonite’s infringement, but in no event less than a reasonable royalty for the use made of the invention by Carbonite, together with interest and costs as fixed by the Court. On information and belief, Carbonite and/or EVault has offered for sale, sold and/or imported into the United States Carbonite and/or EVault products that infringe the ‘728 patent, and continues to do so. By way of illustrative example, these infringing products include, without limitation, Carbonite and/or EVault’s products and services, e.g., EVault, EVault Hybrid Backup, E2 hybrid backup, and all versions and variations thereof since the issuance of the ‘728 patent (“Accused Instrumentality”). and continues to infringe the ‘728 patent, for example, through its own use and testing of the Accused Instrumentality, which constitute systems for compressing data claimed by Claim 1 of the ‘728 patent, comprising a processor; one or more content dependent data compression encoders; and a single data compression encoder; wherein the processor is configured: to analyze data within a data block to identify one or more parameters or attributes of the data wherein the analyzing of the data within the data block to identify the one or more parameters or attributes of the data excludes analyzing based solely on a descriptor that is indicative of the one or more parameters or attributes of the data within the data block; to perform content dependent data compression with the one or more content dependent data compression encoders if the one or more parameters or attributes of the data are identified; and to perform data compression with the single data compression encoder, if the one or more parameters or attributes of the data are not identified. Upon information and belief, Carbonite and/or EVault uses the Accused Instrumentality, an infringing system, for its own internal non-testing business purposes, while testing the Accused Instrumentality, and while providing technical support and repair services for the Accused Instrumentality to Carbonite and/or EVault’s customers. On information and belief, both Carbonite and EVault have had knowledge of the ‘728 patent since at least the filing of this Complaint or shortly thereafter, and on information and belief, both Carbonite and EVault knew of the ‘728 patent and knew of their infringement, including by way of this lawsuit. data compression encoders; and a single data compression encoder; wherein the processor is configured: to analyze data within a data block to identify one or more parameters or attributes of the data wherein the analyzing of the data within the data block to identify the one or more parameters or attributes of the data excludes analyzing based solely on a descriptor that is indicative of the one or more parameters or attributes of the data within the data block; to perform content dependent data compression with the one or more content dependent data compression encoders if the one or more parameters or attributes of the data are identified; and to perform data compression with the single data compression encoder, if the one or more parameters or attributes of the data are not identified. For example, EVault explains that, “DeltaPro change block tracking and compression reduce LAN and internet bandwidth use during backups.” See, e.g., https://www.evault.com/products/cloud/. Carbonite and/or EVault specifically intended and were aware that the normal and customary use of the Accused Instrumentality on compatible systems would infringe the ‘728 patent. Carbonite and/or EVault performed the acts that constitute induced infringement, and would induce actual infringement, with the knowledge of the ‘728 patent and with the knowledge, or willful blindness to the probability, that the induced acts would constitute infringement. On information and belief, Carbonite and/or EVault engaged in such inducement to promote the sales of the Accused Instrumentality, e.g., through Carbonite and/or EVault’s user manuals, product support, marketing materials, and training materials to actively induce the users of the accused products to infringe the ‘728 patent. Accordingly, Carbonite and/or EVault has induced and continues to induce end users of the accused products to use the accused products in their ordinary and customary way with compatible systems to make and/or use systems infringing the ‘728 patent, knowing that such use of the Accused Instrumentality with compatible systems will result in infringement of the ‘728 patent. with knowledge that the accused products were and are especially manufactured and/or especially adapted for use in infringing the ‘728 patent and are not a staple article or commodity of commerce suitable for substantial non-infringing use. On information and belief, the Accused Instrumentality is designed to function with compatible hardware to create systems for compressing data comprising; a processor; one or more content dependent data compression encoders; and a single data compression encoder; wherein the processor is configured: to analyze data within a data block to identify one or more parameters or attributes of the data wherein the analyzing of the data within the data block to identify the one or more parameters or attributes of the data excludes analyzing based solely on a descriptor that is indicative of the one or more parameters or attributes of the data within the data block; to perform content dependent data compression with the one or more content dependent data compression encoders if the one or more parameters or attributes of the data are identified; and to perform data compression with the single data compression encoder, if the one or more parameters or attributes of the data are not identified. Because the Accused Instrumentality is designed to operate as the claimed system for compressing input data, the Accused Instrumentality has no substantial noninfringing uses, and any other uses would be unusual, far-fetched, illusory, impractical, occasional, aberrant, or experimental. Carbonite and/or EVault’s manufacture, use, sale, offering for sale, and/or importation of the Accused Instrumentality constitutes contributory infringement of the ‘728 patent. The Accused Instrumentality is a system for compressing data, comprising a processor. For example, the Accused Instrumentality can be used with a physical appliance containing a processor and/or a cloud backup server containing a processor. See, e.g., https://www.carbonite.com/en/cloud-backup/business/products/e2-hybridbackup/ (“LOCAL BACKUP – for rapid recovery OFFSITE BACKUP – for redundant data protection.”). one or more content dependent data compression encoders. For example, the Accused Instrumentality performs change block tracking, which is a form of deduplication and is a content dependent data compression encoder. Performing deduplication results in representation of data with fewer bits. See, e.g., https://www.evault.com/products/cloud/ (“HIGHLY EFFICIENT: DeltaPro change block tracking and compression reduce LAN and internet bandwidth use during backups.”). The Accused Instrumentality comprises a single data compression encoder. For example, the Accused Instrumentality compresses unique data that has been deduplicated. See, e.g., https://www.evault.com/products/cloud/ (“HIGHLY EFFICIENT: DeltaPro change block tracking and compression reduce LAN and internet bandwidth use during backups.”). The Accused Instrumentality analyzes data within a data block to identify one or more parameters or attributes of the data, for example, whether the data is changed compared to the previous backup, where the analysis does not rely only on the descriptor. See, e.g., https://www.evault.com/products/cloud/ (“HIGHLY EFFICIENT: DeltaPro change block tracking and compression reduce LAN and internet bandwidth use during backups.”). The Accused Instrumentality performs content dependent data compression with the one or more content dependent data compression encoders if the one or more parameters or attributes of the data are identified. See, e.g., https://www.evault.com/products/cloud/ (“HIGHLY EFFICIENT: DeltaPro change block tracking and compression reduce LAN and internet bandwidth use during backups.”). The Accused Instrumentality performs data compression with the single data compression encoder, if the one or more parameters or attributes of the data are not identified. See, e.g., https://www.evault.com/products/cloud/ (“HIGHLY EFFICIENT: DeltaPro change block tracking and compression reduce LAN and internet bandwidth use during backups.”). Carbonite and/or EVault also infringes other claims of the ‘728 patent, directly and through inducing infringement and contributory infringement, for similar reasons as explained above with respect to Claim 1 of the ‘728 patent. By making, using, offering for sale, selling and/or importing into the United States the Accused Instrumentality, and touting the benefits of using the Accused Instrumentality’s compression features, Carbonite and/or EVault has injured Realtime and is liable to Realtime for infringement of the ‘728 patent pursuant to 35 U.S.C. § 271. As a result of Carbonite and/or EVault’s infringement of the ‘728 patent, Plaintiff Realtime is entitled to monetary damages in an amount adequate to compensate for Carbonite and/or EVault’s infringement, but in no event less than a reasonable royalty for the use made of the invention by Carbonite and/or EVault, together with interest and costs as fixed by the Court. Backup, Carbonite Personal Backup for Windows, Carbonite Personal Backup for Mac, Carbonite for Home, Carbonite for Office, Carbonite Server Backup, and all versions and variations thereof since the issuance of the ‘530 patent (“Accused Instrumentality”)..
On information and belief, Carbonite has directly infringed and continues to infringe the ‘530 patent, for example, through its own use and testing of the Accused Instrumentality, which constitutes a system comprising: a memory device; and a data accelerator, wherein said data accelerator is coupled to said memory device, a data stream is received by said data accelerator in received form, said data stream includes a first data block and a second data block, said data stream is compressed by said data accelerator to provide a compressed data stream by compressing said first data block with a first compression technique and said second data block with a second compression technique, said first and second compression techniques are different, said compressed data stream is stored on said memory device, said compression and storage occurs faster than said data stream is able to be stored on said memory device in said received form, a first data descriptor is stored on said memory device indicative of said first compression technique, and said first descriptor is utilized to decompress the portion of said compressed data stream associated with said first data block. Upon information and belief, Carbonite uses the Accused Instrumentality, an infringing system, for its own internal non-testing business purposes, while testing the Accused Instrumentality, and while providing technical support and repair services for the Accused Instrumentality to Carbonite’s customers. On information and belief, Carbonite has had knowledge of the ‘530 patent since at least the filing of this Complaint or shortly thereafter, and on information and belief, Carbonite knew of the ‘530 patent and knew of its infringement, including by way of this lawsuit. means that the contents of a restored file are identical to the contents of the backed up file prior to compression. Most picture, music, and video files already have some form of compression. In this case, Carbonite attempts to further compress these files via zlib. We do not alter the native compression of these files, but because they are being compressed a second time, the files sizes of picture, music, and video files are typically lower than document files.”). For similar reasons, Carbonite also induces its customers to use the Accused Instrumentalities to infringe other claims of the ‘530 patent. Carbonite specifically intended and was aware that these normal and customary activities would infringe the ‘530 patent. Carbonite performed the acts that constitute induced infringement, and would induce actual infringement, with the knowledge of the ‘530 patent and with the knowledge, or willful blindness to the probability, that the induced acts would constitute infringement. On information and belief, Carbonite engaged in such inducement to promote the sales of the Accused Instrumentalities. Accordingly, Carbonite has induced and continues to induce users of the accused products to use the accused products in their ordinary and customary way to infringe the ‘530 patent, knowing that such use constitutes infringement of the ‘530 patent. tracking and compression reduce LAN and internet bandwidth use during backups.”). The Accused Instrumentality’s received data stream will evidently consist of more than one data block. Differential-Backups (“A Differential backup will back up any data that has changed since the last Full Backup. … An Incremental backup will back up any data that has changed since the last backup, be it Full, Differential, or Incremental. … Incremental backups are generally much smaller in size than differential backups, but they can make the restore process slower over a period of time. On the other hand, differential backups offer a good tradeoff between time to backup and time to restore. To reap the benefits of both incremental and differential backups, you may combine both types in a single backup set.”); https://support.carbonite.com/articles/Personal-Pro-Windows-Mac-Typeof-Compression-We-Use (“Carbonite uses the lossless zlib compression algorithm. This means that the contents of a restored file are identical to the contents of the backed up file prior to compression. Most picture, music, and video files already have some form of compression. In this case, Carbonite attempts to further compress these files via zlib. We do not alter the native compression of these files, but because they are being compressed a second time, the files sizes of picture, music, and video files are typically lower than document files.”). and-Differential-Backups (“A Differential backup will back up any data that has changed since the last Full Backup. … An Incremental backup will back up any data that has changed since the last backup, be it Full, Differential, or Incremental. … Incremental backups are generally much smaller in size than differential backups, but they can make the restore process slower over a period of time. On the other hand, differential backups offer a good tradeoff between time to backup and time to restore. To reap the benefits of both incremental and differential backups, you may combine both types in a single backup set.”); https://support.carbonite.com/articles/Personal-Pro-Windows-Mac-Typeof-Compression-We-Use (“Carbonite uses the lossless zlib compression algorithm. This means that the contents of a restored file are identical to the contents of the backed up file prior to compression. Most picture, music, and video files already have some form of compression. In this case, Carbonite attempts to further compress these files via zlib. We do not alter the native compression of these files, but because they are being compressed a second time, the files sizes of picture, music, and video files are typically lower than document files.”). .
After compression, said compressed data stream is stored on said memory device. See, e.g., https://www.carbonite.com/en/ (“Your files will be backed up automatically to the cloud.”). https://support.carbonite.com/articles/Server-Windows-What-are-Incremental-andDifferential-Backups (“Incremental backups are generally much smaller in size than differential backups, but they can make the restore process slower over a period of time. On the other hand, differential backups offer a good tradeoff between time to backup and time to restore. To reap the benefits of both incremental and differential backups, you may combine both types in a single backup set.”). on said memory device indicative of said first compression technique, and utilize said first descriptor to decompress the portion of said compressed data stream associated with said first data block. See, e.g., https://support.carbonite.com/articles/Server-WindowsWhat-are-Incremental-and-Differential-Backups (“A Differential backup will back up any data that has changed since the last Full Backup. … An Incremental backup will back up any data that has changed since the last backup, be it Full, Differential, or Incremental. … A full restore of all data involving Incremental backups needs: The most recent Full backup. The most recent Differential backup, if one was done. Every Incremental backup that was taken since the most recent Full or Differential backup. … Incremental backups are generally much smaller in size than differential backups, but they can make the restore process slower over a period of time. On the other hand, differential backups offer a good tradeoff between time to backup and time to restore. To reap the benefits of both incremental and differential backups, you may combine both types in a single backup set.”). On information and belief, Carbonite also infringes, directly and through induced infringement, and continues to infringe other claims of the ‘530 patent, for similar reasons as explained above with respect to Claim 1 of the ‘530 patent. On information and belief, use of the Accused Instrumentality in its ordinary and customary fashion results in infringement of the methods claimed by the ‘530 patent. By making, using, offering for sale, selling and/or importing into the United States the Accused Instrumentalities, and touting the benefits of using the Accused Instrumentalities’ compression features, Carbonite has injured Realtime and is liable to Realtime for infringement of the ‘530 patent pursuant to 35 U.S.C. § 271.
of the invention by Carbonite, together with interest and costs as fixed by the Court. On information and belief, Carbonite and/or EVault has offered for sale, sold and/or imported into the United States Carbonite and/or EVault products that infringe the ‘530 patent, and continues to do so. By way of illustrative example, these infringing products include, without limitation, Carbonite and/or EVault’s products and services, e.g., EVault, EVault Hybrid Backup, E2 hybrid backup, and all versions and variations thereof since the issuance of the ‘530 patent (“Accused Instrumentality”). On information and belief, Carbonite and/or EVault has directly infringed and continues to infringe the ‘530 patent, for example, through its own use and testing of the Accused Instrumentality, which constitutes a system comprising: a memory device; and a data accelerator, wherein said data accelerator is coupled to said memory device, a data stream is received by said data accelerator in received form, said data stream includes a first data block and a second data block, said data stream is compressed by said data accelerator to provide a compressed data stream by compressing said first data block with a first compression technique and said second data block with a second compression technique, said first and second compression techniques are different, said compressed data stream is stored on said memory device, said compression and storage occurs faster than said data stream is able to be stored on said memory device in said received form, a first data descriptor is stored on said memory device indicative of said first compression technique, and said first descriptor is utilized to decompress the portion of said compressed data stream associated with said first data block. Upon information and belief, Carbonite and/or EVault uses the Accused Instrumentality, an infringing system, for its own internal non-testing business purposes, while testing the Accused Instrumentality, and while providing technical support and repair services for the Accused Instrumentality to Carbonite’s customers. knowledge of the ‘530 patent since at least the filing of this Complaint or shortly thereafter, and on information and belief, both Carbonite and EVault knew of the ‘530 patent and knew of their infringement, including by way of this lawsuit. knowledge, or willful blindness to the probability, that the induced acts would constitute infringement. On information and belief, Carbonite and/or EVault engaged in such inducement to promote the sales of the Accused Instrumentalities. Accordingly, Carbonite and/or EVault has induced and continues to induce users of the accused products to use the accused products in their ordinary and customary way to infringe the ‘530 patent, knowing that such use constitutes infringement of the ‘530 patent. The Accused Instrumentality evidently includes the memory device and includes the data accelerator, wherein said data accelerator is coupled to said memory device. For example, the Accused Instrumentality can be used with a physical appliance containing a memory device and/or a cloud backup server containing a memory device. See, e.g., https://www.carbonite.com/en/cloud-backup/business/products/e2-hybridbackup/ (“LOCAL BACKUP – for rapid recovery OFFSITE BACKUP – for redundant data protection.”). The Accused Instrumentality receives an incoming stream of data. See, e.g., https://www.evault.com/products/cloud/ (“Cloud backup is a versatile, critical part of a modern data protection plan … Your data is protected automatically, via 256-bit private key encryption and TLS during transmission.”). The first and second compression techniques used by the Accused Instrumentality described above are necessarily different. See, e.g., https://www.evault.com/products/cloud/ (“HIGHLY EFFICIENT: DeltaPro change block tracking and compression reduce LAN and internet bandwidth use during backups.”). After compression, said compressed data stream is stored on said memory device. See, e.g., https://www.evault.com/products/cloud/ (“Cloud backup is a versatile, critical part of a modern data protection plan … Your data is protected automatically, via 256-bit private key encryption and TLS during transmission.”). https://www.evault.com/products/cloud/ (“HIGHLY EFFICIENT: DeltaPro change block tracking and compression reduce LAN and internet bandwidth use during backups.”). The Accused Instrumentality would evidently store a first data descriptor said memory device indicative of said first compression technique, and utilize said first descriptor to decompress the portion of said compressed data stream associated with said first data block. See, e.g., https://www.evault.com/products/cloud/ (“HIGHLY EFFICIENT: DeltaPro change block tracking and compression reduce LAN and internet bandwidth use during backups.”). On information and belief, Carbonite and/or EVault also infringes, directly and through induced infringement, and continues to infringe other claims of the ‘530 patent, for similar reasons as explained above with respect to Claim 1 of the ‘530 patent. By making, using, offering for sale, selling and/or importing into the United States the Accused Instrumentalities, and touting the benefits of using the Accused Instrumentalities’ compression features, Carbonite and/or EVault has injured Realtime and is liable to Realtime for infringement of the ‘530 patent pursuant to 35 U.S.C. § 271. As a result of Carbonite and/or EVault’s infringement of the ‘530 patent, Plaintiff Realtime is entitled to monetary damages in an amount adequate to compensate for Carbonite and/or EVault’s infringement, but in no event less than a reasonable royalty for the use made of the invention by Carbonite and/or EVault, together with interest and costs as fixed by the Court. above, as if fully set forth herein. Plaintiff Realtime is the owner by assignment of United States Patent No. 9,116,908 (“the ‘908 Patent”) entitled “System and methods for accelerated data storage and retrieval.” The ‘908 Patent was duly and legally issued by the United States Patent and Trademark Office on August 25, 2015. A true and correct copy of the ‘908 Patent is included as Exhibit C.
On information and belief, Carbonite has offered for sale, sold and/or imported into the United States Carbonite products that infringe the ‘908 patent, and continues to do so. By way of illustrative example, these infringing products include, without limitation, Carbonite’s products and services, e.g., Carbonite, Carbonite Personal Backup, Carbonite Personal Backup for Windows, Carbonite Personal Backup for Mac, Carbonite for Home, Carbonite for Office, Carbonite Server Backup, and all versions and variations thereof since the issuance of the ‘908 patent (“Accused Instrumentality”). Accused Instrumentality to Carbonite’s customers. On information and belief, use of the Accused Instrumentality in its ordinary and customary fashion results in infringement of the systems claimed by the ‘908 patent. On information and belief, Carbonite has had knowledge of the ‘908 patent since at least the filing of this Complaint or shortly thereafter, and on information and belief, Carbonite knew of the ‘908 patent and knew of its infringement, including by way of this lawsuit. Pro-Windows-Mac-Type-of-Compression-We-Use (“Carbonite uses the lossless zlib compression algorithm. This means that the contents of a restored file are identical to the contents of the backed up file prior to compression. Most picture, music, and video files already have some form of compression. In this case, Carbonite attempts to further compress these files via zlib. We do not alter the native compression of these files, but because they are being compressed a second time, the files sizes of picture, music, and video files are typically lower than document files.”). For similar reasons, Carbonite also induces its customers to use the Accused Instrumentalities to infringe other claims of the ‘908 patent. Carbonite specifically intended and was aware that these normal and customary activities would infringe the ‘908 patent. Carbonite performed the acts that constitute induced infringement, and would induce actual infringement, with the knowledge of the ‘908 patent and with the knowledge, or willful blindness to the probability, that the induced acts would constitute infringement. On information and belief, Carbonite engaged in such inducement to promote the sales of the Accused Instrumentalities. Accordingly, Carbonite has induced and continues to induce users of the accused products to use the accused products in their ordinary and customary way to infringe the ‘908 patent, knowing that such use constitutes infringement of the ‘908 patent. The Accused Instrumentality stores the compressed first and second data blocks on the memory device, and the compression and storage occurs faster than the first and second data blocks are able to be stored on the memory device in uncompressed form. See, e.g., https://support.carbonite.com/articles/Server-Windows-What-are-Incrementaland-Differential-Backups (“A Differential backup will back up any data that has changed since the last Full Backup. … An Incremental backup will back up any data that has changed since the last backup, be it Full, Differential, or Incremental. … Incremental backups are generally much smaller in size than differential backups, but they can make the restore process slower over a period of time. On the other hand, differential backups offer a good tradeoff between time to backup and time to restore. To reap the benefits of both incremental and differential backups, you may combine both types in a single backup set.”); https://support.carbonite.com/articles/Personal-Pro-Windows-Mac-Typeof-Compression-We-Use (“Carbonite uses the lossless zlib compression algorithm. This means that the contents of a restored file are identical to the contents of the backed up file prior to compression. Most picture, music, and video files already have some form of compression. In this case, Carbonite attempts to further compress these files via zlib. We do not alter the native compression of these files, but because they are being compressed a second time, the files sizes of picture, music, and video files are typically lower than document files.”). On information and belief, Carbonite also infringes, directly and through induced infringement, and continues to infringe other claims of the ‘908 patent, for similar reasons as explained above with respect to Claim 1 of the ‘908 patent. By making, using, offering for sale, selling and/or importing into the United States the Accused Instrumentalities, and touting the benefits of using the Accused Instrumentalities’ compression features, Carbonite has injured Realtime and is liable to Realtime for infringement of the ‘908 patent pursuant to 35 U.S.C. § 271. Realtime is entitled to monetary damages in an amount adequate to compensate for Carbonite’s infringement, but in no event less than a reasonable royalty for the use made of the invention by Carbonite, together with interest and costs as fixed by the Court. On information and belief, Carbonite and/or EVault has offered for sale, sold and/or imported into the United States Carbonite and/or EVault products that infringe the ‘908 patent, and continues to do so. By way of illustrative example, these infringing products include, without limitation, Carbonite and/or EVault’s products and services, e.g., EVault, EVault Hybrid Backup, E2 hybrid backup, and all versions and variations thereof since the issuance of the ‘908 patent (“Accused Instrumentality”). On information and belief, Carbonite and/or EVault has directly infringed and continues to infringe the ‘908 patent, for example, through its own use and testing of the Accused Instrumentality, which constitutes a system comprising: a memory device; and a data accelerator configured to compress: (i) a first data block with a first compression technique to provide a first compressed data block; and (ii) a second data block with a second compression technique, different from the first compression technique, to provide a second compressed data block; wherein the compressed first and second data blocks are stored on the memory device, and the compression and storage occurs faster than the first and second data blocks are able to be stored on the memory device in uncompressed form. Upon information and belief, Carbonite and/or EVault uses the Accused Instrumentality, an infringing system, for its own internal non-testing business purposes, while testing the Accused Instrumentality, and while providing technical support and repair services for the Accused Instrumentality to Carbonite and/or EVault’s customers. On information and belief, Carbonite and/or EVault has had knowledge of the ‘908 patent since at least the filing of this Complaint or shortly thereafter, and on information and belief, Carbonite and/or EVault knew of the ‘908 patent and knew of its infringement, including by way of this lawsuit. induced and continues to induce users of the accused products to use the accused products in their ordinary and customary way to infringe the ‘908 patent, knowing that such use constitutes infringement of the ‘908 patent. The Accused Instrumentality evidently includes a memory device and a data accelerator configured to compress: (i) a first data block with a first compression technique to provide a first compressed data block; and (ii) a second data block with a second compression technique, different from the first compression technique, to provide a second compressed data block. For example, the Accused Instrumentality can be used with a physical appliance containing a memory device and/or a cloud backup server containing a memory device. See, e.g., https://www.carbonite.com/en/cloudbackup/business/products/e2-hybrid-backup/ (“LOCAL BACKUP – for rapid recovery OFFSITE BACKUP – for redundant data protection.”). The Accused Instrumentality compresses (i) a first data block with a first compression technique to provide a first compressed data block; and (ii) a second data block with a second compression technique, different from the first compression technique, to provide a second compressed data block. See, e.g., https://www.evault.com/products/cloud/ (“HIGHLY EFFICIENT: DeltaPro change block tracking and compression reduce LAN and internet bandwidth use during backups.”). The Accused Instrumentality stores the compressed first and second data blocks on the memory device, and the compression and storage occurs faster than the first and second data blocks are able to be stored on the memory device in uncompressed form. See, e.g., https://www.evault.com/products/cloud/ (“Cloud backup is a versatile, critical part of a modern data protection plan … Your data is protected automatically, via 256-bit private key encryption and TLS during transmission. … HIGHLY EFFICIENT: DeltaPro change block tracking and compression reduce LAN and internet bandwidth use during backups.”). and through induced infringement, and continues to infringe other claims of the ‘908 patent, for similar reasons as explained above with respect to Claim 1 of the ‘908 patent. As a result of Carbonite and/or EVault’s infringement of the ‘908 patent, Plaintiff Realtime is entitled to monetary damages in an amount adequate to compensate for Carbonite and/or EVault’s infringement, but in no event less than a reasonable royalty for the use made of the invention by Carbonite and/or EVault, together with interest and costs as fixed by the Court. variations thereof since the issuance of the ‘204 patent (“Accused Instrumentality”). On information and belief, Carbonite has directly infringed and continues to infringe the ‘204 patent, for example, through its own use and testing of the accused products to practice compression methods claimed by the ‘204 patent, including a method for processing data, the data residing in data fields, comprising: recognizing any characteristic, attribute, or parameter of the data; selecting an encoder associated with the recognized characteristic, attribute, or parameter of the data; compressing the data with the selected encoder utilizing at least one state machine to provide compressed data having a compression ratio of over 4:1; and point-to-point transmitting the compressed data to a client; wherein the compressing and the transmitting occur over a period of time which is less than a time to transmit the data in an uncompressed form. On information and belief, Carbonite uses the Accused Instrumentality in its ordinary and customary fashion for its own internal non-testing business purposes, while testing the Accused Instrumentality, and while providing technical support and repair services for the Accused Instrumentality to Carbonite’s customers, and use of the Accused Instrumentality in its ordinary and customary fashion results in infringement of the methods claimed by the ‘204 patent. On information and belief, Carbonite has had knowledge of the ‘204 patent since at least the filing of this Complaint or shortly thereafter, and on information and belief, Carbonite knew of the ‘204 patent and knew of its infringement, including by way of this lawsuit. knowledge, or willful blindness to the probability, that the induced acts would constitute infringement. On information and belief, Carbonite engaged in such inducement to promote the sales of the Accused Instrumentality, e.g., through Carbonite’s user manuals, product support, marketing materials, and training materials to actively induce the users of the accused products to infringe the ‘204 patent. Accordingly, Carbonite has induced and continues to induce end users of the accused products to use the accused products in their ordinary and customary way with compatible systems to make and/or use systems infringing the ‘204 patent, knowing that such use of the Accused Instrumentality with compatible systems will result in infringement of the ‘204 patent. The Accused Instrumentality practices a method for processing data, the data residing in data fields. See, e.g., https://support.carbonite.com/articles/ServerWindows-What-are-Incremental-and-Differential-Backups (“Incremental and Differential backups are the primary means by which Carbonite Server Backup (CSB) reduces the size of backup runs after the Full Backup”). compress these files via zlib. We do not alter the native compression of these files, but because they are being compressed a second time, the files sizes of picture, music, and video files are typically lower than document files.”). The Accused Instrumentality point-to-point transmits the compressed data to a client. See, e.g., https://support.carbonite.com/articles/Server-Windows-What-areIncremental-and-Differential-Backups (“Incremental and Differential backups are the primary means by which Carbonite Server Backup (CSB) reduces the size of backup runs after the Full Backup. … A Differential backup will back up any data that has changed since the last Full Backup. Differential backups will start small but grow in size for each subsequent backup, because they contain all changed data since the last Full backup. … An Incremental backup will back up any data that has changed since the last backup, be it Full, Differential, or Incremental.”). In the Accused Instrumentality, the compressing and the transmitting occur over a period of time which is less than a time to transmit the data in an uncompressed form. See, e.g., https://support.carbonite.com/articles/Server-WindowsWhat-are-Incremental-and-Differential-Backups (“Incremental and Differential backups are the primary means by which Carbonite Server Backup (CSB) reduces the size of backup runs after the Full Backup. … A Differential backup will back up any data that has changed since the last Full Backup. Differential backups will start small but grow in size for each subsequent backup, because they contain all changed data since the last Full backup. … An Incremental backup will back up any data that has changed since the last backup, be it Full, Differential, or Incremental.”). On information and belief, Carbonite also infringes, directly and through induced infringement, and continues to infringe other claims of the ‘204 patent, for similar reasons as explained above with respect to Claim 12 of the ‘204 patent. Accused Instrumentalities’ compression features, Carbonite has injured Realtime and is liable to Realtime for infringement of the ‘204 patent pursuant to 35 U.S.C. § 271. As a result of Carbonite’s infringement of the ‘204 patent, Plaintiff Realtime is entitled to monetary damages in an amount adequate to compensate for Carbonite’s infringement, but in no event less than a reasonable royalty for the use made of the invention by Carbonite, together with interest and costs as fixed by the Court. On information and belief, Carbonite and/or EVault has offered for sale, sold and/or imported into the United States Carbonite and/or EVault products that infringe the ‘204 patent, and continues to do so. By way of illustrative example, these infringing products include, without limitation, Carbonite and/or EVault’s products and services, e.g., EVault, EVault Hybrid Backup, E2 hybrid backup, and all versions and variations thereof since the issuance of the ‘204 patent (“Accused Instrumentality”). EVault’s customers, and use of the Accused Instrumentality in its ordinary and customary fashion results in infringement of the methods claimed by the ‘204 patent. On information and belief, Carbonite and EVault have had knowledge of the ‘204 patent since at least the filing of this Complaint or shortly thereafter, and on information and belief, Carbonite and EVault knew of the ‘204 patent and knew of their infringement, including by way of this lawsuit. and/or EVault’s user manuals, product support, marketing materials, and training materials to actively induce the users of the accused products to infringe the ‘204 patent. Accordingly, Carbonite and/or EVault has induced and continues to induce end users of the accused products to use the accused products in their ordinary and customary way with compatible systems to make and/or use systems infringing the ‘204 patent, knowing that such use of the Accused Instrumentality with compatible systems will result in infringement of the ‘204 patent. The Accused Instrumentality practices a method for processing data, the data residing in data fields. See, e.g., https://www.evault.com/products/cloud/ (“Your data is protected automatically, via 256-bit private key encryption and TLS during transmission. … DeltaPro change block tracking and compression reduce LAN and internet bandwidth use during backups.”). The Accused Instrumentality recognizes any characteristic, attribute, or parameter of the data. For example, the Accused Instrumentality performs change block tracking, which recognizes whether a data block has changed since a previous backup. See, e.g., https://www.evault.com/products/cloud/ (“HIGHLY EFFICIENT: DeltaPro change block tracking and compression reduce LAN and internet bandwidth use during backups.”). The Accused Instrumentality selects an encoder associated with the recognized characteristic, attribute, or parameter of the data. For example, if the Accused Instrumentality recognizes that a data block has not changed since a previous backup, it will encode the data block using a reference to the previously stored data block. See, e.g., https://www.evault.com/products/cloud/ (“HIGHLY EFFICIENT: DeltaPro change block tracking and compression reduce LAN and internet bandwidth use during backups.”). data having a compression ratio of over 4:1. See, e.g., https://www.evault.com/products/cloud/ (“HIGHLY EFFICIENT: DeltaPro change block tracking and compression reduce LAN and internet bandwidth use during backups.”). The Accused Instrumentality point-to-point transmits the compressed data to a client. See, e.g., https://www.evault.com/products/cloud/ (“If you have a smaller data footprint or simply don’t have space for on-site hardware, EVault offers direct to cloud backup solutions. Install the EVault software on your servers, and you’re done! … If sending large amounts of data over the network is too slow or costly, you can move data to the cloud with EVault Data Transfer Services. You’ll receive a temporary backup appliance to accelerate the transfer of multiple terabytes from multiple servers. The appliance is shipped to and from your datacenter, and it replicates your data to the target cloud. … Your data is protected automatically, via 256-bit private key encryption and TLS during transmission.”). In the Accused Instrumentality, the compressing and the transmitting occur over a period of time which is less than a time to transmit the data in an uncompressed form. See, e.g., https://www.evault.com/products/cloud/ (“HIGHLY EFFICIENT: DeltaPro change block tracking and compression reduce LAN and internet bandwidth use during backups. … Shorten backup windows and accelerate recovery with bare metal restore to dissimilar hardware and remote file and folder restore.”). On information and belief, Carbonite and/or EVault also infringes, directly and through induced infringement, and continues to infringe other claims of the ‘204 patent, for similar reasons as explained above with respect to Claim 12 of the ‘204 patent. By making, using, offering for sale, selling and/or importing into the United States the Accused Instrumentalities, and touting the benefits of using the Accused Instrumentalities’ compression features, Carbonite and/or EVault has injured Realtime and is liable to Realtime for infringement of the ‘204 patent pursuant to 35 U.S.C. § 271. As a result of Carbonite and/or EVault’s infringement of the ‘204 patent, Plaintiff Realtime is entitled to monetary damages in an amount adequate to compensate for Carbonite and/or EVault’s infringement, but in no event less than a reasonable royalty for the use made of the invention by Carbonite and/or EVault, together with interest and costs as fixed by the Court. Any and all other relief as the Court may deem appropriate and just under the circumstances. jury of any issues so triable by right. Previous New Class Action: Cilloni et al v. Craft Brew Alliance, Inc.